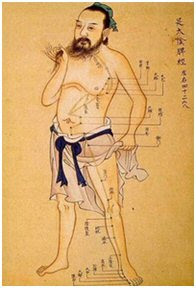 Initially I had included the subject of "tests" of "chi" (meaning "spirit" or "breath" - spelled "qi" in Pinyin, "ki" in Japanese and written 氣 in hanzi/kanji) in my previous article; it arose out of the same "stream of consciousness" and should accordingly be read subject to that discussion. However I chose to put this subject into a separate essay because I think it deserves its own focus. 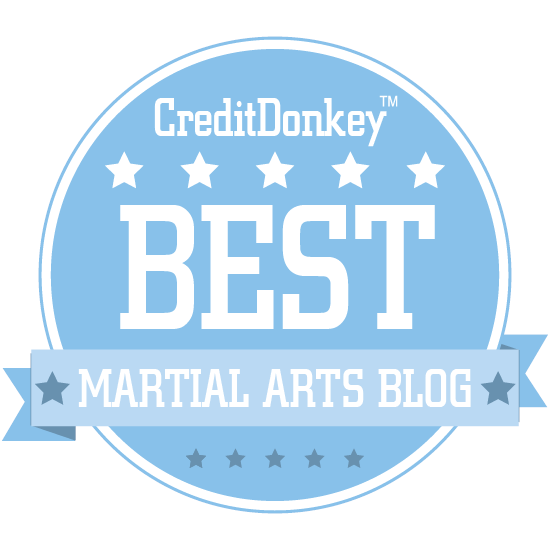 "Chi/ki tests" are perennial favourites in martial arts circles. They range from cheap parlour tricks to drills that actually require some real martial skill (a skill that is however explained in vague, mystical or supernatural terms). In this article I propose to deal with the latter: In other words, I want to focus on two fairly common "chi/ki tests" that actually do require some skill. provide some clear examples of how mentalism can feed false assumptions about these tests – and how a mentalist will use those false assumptions for his/her own aggrandisement. One of my favourite "chi/ki tests" is the infamous "unbendable arm". It provides the ideal platform for analysis of mentalism (whether deliberate or "inherited"). How does it work? I performed it just the other night – I'm sorry I didn't film it now! Basically it involves putting your outstretched arm, palm up, onto your partner's shoulder. Then you get your partner to bend your arm while you forcefully resist the bend. But, try as you might, you cannot. Despite your very strongest, vein-popping resistance, your most vehement tension running from your fist to your shoulder, you cannot stop your partner bending your arm. Now for the chi/ki part: you get your partner to try again. Only this time, you relax your arm "completely", imagining "chi/ki flowing through your arm like water through a hosepipe". Voila – your partner cannot bend your arm, despite his/her own vein popping effort. All your partner succeeds in doing is bending your arm by less than half an inch. Beyond that, he/she cannot make any headway. As I like to demonstrate it, I can twiddle the fingers of the arm being held, and I can do so loosely with apparent relaxation. I can even use my captured hand to hold a saucer while I sip nonchalantly from a teacup with the other. Impressive huh? Now had I been an unscrupulous mentalist, or chosen to remain wilfully blind to experience and logic gained over 31 years of training, I might have left it there the other night. My students would have been impressed with my chi/ki and I might have procured another generation of "inherited mentalism". Your attention is being directed away from some fairly obvious facts so as to enable you to make a number of false assumptions. First, it is practically impossible to bend someone's arm at that sort of angle – unless he/she allows you to do it! Don't believe me? Try it out with a friend. Just make up your mind not to let your arm be bent. Don't worry about chi/ki and hosepipes. Just refuse to allow it. Your "attacker" will have as much luck trying to close a heavy door by pushing near the hinges with a feather duster. Unless there is a substantial disparity in size/strength, it simply can't be done; the angles, muscle groups engaged, posture etc. are all calculated to defeat any "bending"! Second, you are being led to assume that the first "test of resistance" was accurate. It wasn't. It is neither necessary nor desirable to tense up your whole arm in order to resist the bend. Instead, only the muscles that extend your arm need to be activated. Tensing other muscles doesn't just tire you out – it can actively assist the bending action! However if you only tense the necessary muscles, this will maximise your resistance. 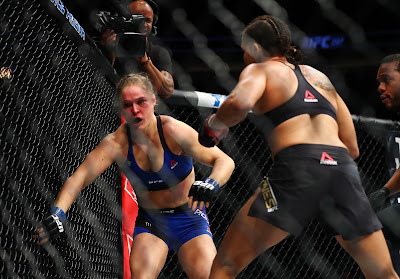 And this still leaves your partner pushing at an angle that gives almost no leverage. Don't forget, on top of the preceding "false assumptions" that you've been (whether deliberately or unconsciously) guided into, you've also been fed "facts" that you've accepted uncritically ("These aren't the droids I was looking for and I'll have fries with that!"). You've accepted that it was possible for your partner to bend your arm in the first test and you've allowed it to happen. You've unconsciously accepted the suggestion to tense inappropriate muscles. Then when the second test was performed, you've accepted the exact reverse. (And you've accepted the suggestion that your arm is "completely relaxed" (when in fact you are actually tensing muscles – just not all of them!) or that you're using your "mind" rather than your muscles (in fact, you are using your mind and your muscles – as you generally will!). Your partner has also been subject to suggestion: he or she has accepted the same "facts" uncritically. It's not all bad – if what is happening is properly explained! If the foregoing concerns you because you have practised the "unbendable arm" – don't let it. There is nothing, I repeat, nothing wrong with the unbendable arm as an exercise – provided you know exactly what it is you're trying to do! 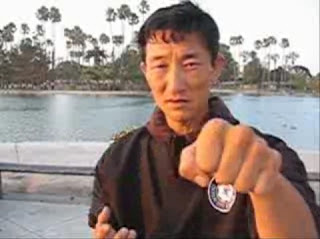 A version of unbendable arm from taijiquan. Note that the emphasis here is on attaining the right alignment rather than on some supernatural power. You can find many examples of the "chi/ki" variety on Youtube; I'll leave it to you to look them up. What are you trying to do? You're learning the value of relaxation; you're learning that by tensing only the muscles necessary for a technique, you can be both more efficient and more effective. 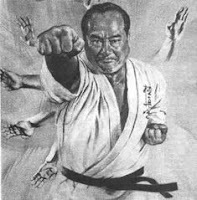 [In this regard, see for example my article about the uraken or "backfist", in particular where I dispel the false assumption that you can't tense your fist and have a flexible wrist at the same time.] You're learning not to waste your resources and you're learning your partner's lines of least resistance. These are important lessons. But goes without saying that it is inaccurate and unnecessary to add any supernatural "explanation" on top of what can, manifestly, be explained in straightforward mechanistic terms. If you were unknowingly perpetuating false assumptions about this drill, you now have a reason to stop and consider the whole issue critically. I am confident that if you do so, you'll find that I am correct. If you still doubt me, try it out with some sceptical friends and let them be the arbiters. Another similar, but arguably more useful, exercise in learning to tense only the necessary muscles, while optimising things like posture, is the "heavy body" exercise. It basically involves having someone lift you from a bearhug – once when you are thinking "light" and once when you are thinking "heavy". In some respects it is a bit like the "light as a feather game" to which I referred in my previous article, except in reverse and, more importantly, it actually requires a particular physical skill. You'll notice from the above video that the first lift is easy. However on the second lift, the situation is very different. Now I could tell you, as others have done, that this is a product of "chi/ki". And indeed, it might easily be assumed to be something supernatural because the mechanics of the whole exercise are much harder to understand than the simple "unbendable arm". The exercise also requires a great deal more practice. 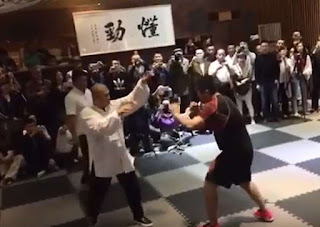 Ultimately however this exercise has nothing to do with "chi/ki" or any other kind of "supernatural" force (by "supernatural" I mean "unknown to science", as I discussed in my previous article). How does it work? When you think "heavy" you're subtly affecting your partner's purchase on you while simultaneously lowering your centre of gravity. This is done through a complex tensing of some muscles and relaxing of others. Put in a simpler way, in the first lift you're allowing yourself to be lifted as a stiff, single unit. In the second, you have relaxed enough so that you present a "dead weight" but not enough so that you lose all form and structure (ie. flop about or even visibly loosen). If you've ever had to lift a 50 kg cement bag vs. a 50 kg barbell you'll know just how much easier it is to lift the latter than the former. What does this exercise teach you? It teaches you some very important principles, including grounding and the ability to yield (ie. be relaxed and "soft") when necessary. These are skills that are incredibly useful in civilian defence . Another exercise in "heaviness" that I call "sanchin pushing". It requires a lot of skill, can appear quite "supernatural" but is ultimately a simple matter of efficient body mechanics. You can and should practise these grounding exercises. And they aren't easy; a moment's lapse in concentration and you will notice the difference immediately. Now please take my word for it that I could have filmed the "lifting" video very differently. I could have made it look as if it were absolutely impossible for anyone to lift me. But this would have been pure mentalism: a manipulation of you and my students. I could have done this by "suggestion". For example, I could have said something like: "Watch out for your back when you lift - don't strain it by bending backwards." Which is good advice - to some extent. But it also makes their lift far more hesitant. I have suggested an action (less powerful lift) without them realizing it. But more importantly, I could have manipulated the result just by choosing the right students as "lifters" – ie. students who are more suggestible or otherwise more accommodating (particularly when they know I'm going to be on video). Instead, I deliberately chose two students who were going to make this exercise tough. First I chose Ivan – an honest, sceptical and experienced student who always does his best to make such a demonstration "true". This can be a pain in the proverbial, but I can hardly complain: this is precisely what I ask him to do! Second I chose a beginning student, James – an unknown quantity who is a foot taller than me and considerably heavier. Both of these students would have been "strictly off-limits choices" for a mentalist. As a rule of thumb, a mentalist never, ever demonstrates unless a successful outcome is certain. In martial arts, the mentalist must always seem "invincible". This means never being seen to fail in a "test" of this kind. Ever. Only when the result is predictably impressive will the mentalist demonstrate. With each successful demonstration the mentalist's acclaim (and ability to influence by suggestion) increases. But that isn't why I would do this sort of exercise. The exercise is useful for teaching real skill, not creating illusions – however such illusions might feed the instructor's ego, and however much they are "good for business". So you'll note that I do get lifted up when I'm being "heavy". Both men lift me off the ground. But that scarcely matters, as I'll shortly explain. The ability to "ground" yourself realistically is an important and impressive skill in itself: you don't need "magick" to make it any "more impressive". So what do you see from the video? You can clearly see that I can (and do) make lifting "harder" simply through a (largely unobservable) change in the muscles I'm tensing. The fact that I don't make it "impossible" is both accurate and appropriate. More relevantly, students watching can see that even minute changes in my concentration affect my grounding. In earlier "heavy" attempts, James lifts me higher than in the final lift where he barely takes my feet off the floor. How you concentrate matters. You have to be "in the zone" for any technique or tactic to work This is especially important in the case of fighting skill. You cannot be distracted – even for a millisecond. From the above discussion you will see that there is a common theme arising from both "chi/ki tests": the need for greater control of subtle body mechanics. These body mechanics might be fairly straightforward (as in the "unbendable arm") or they can be quite complex (as in the "heavy body"). The more complex the use of body mechanics, the more scope there is for exploitation by mentalists or just plain old self-deception. If there is one central "skill" being tested by these two tests it is simply this: your ability to relax. And I don't mean "flop down"; I mean relax all but the necessary muscles. Bizarrely, being able to "resist" a lift has nothing whatsoever to do with "muscular resistance". It has a lot more to do with yielding and softness. If this is starting to sound "supernatural" then you're missing my point. But perhaps I've also just made it: science is more awe-inspiring and infinitely richer, more complex and more profound than "magick" will ever will be. It is also "way cooler"! The fact that I have to use words like "yielding" and "softness" does not indicate a recourse to "supernatural by another name". It indicates a desire to put into plain, accessible language a complex interplay of muscular tension and relaxation in response to a particular stimulus. It indicates a desire to enable you to have this skill. In my experience, telling you to use "chi/ki" does not help with this process. I always call these tricks when showing them to my students, so that they get the right impression from the start. "Despite your very strongest, vein-popping resistance, your most vehement tension running from your fist to your shoulder, you cannot stop your partner bending your arm." That's because the person is maxing out several muscle groups, extensors vs flexors, via their hand grip. If they relaxed the hand grip or even better extended the arm as in a palm thrust and activated specific muscle groups to extend, rather than grip. the muscular lever efficiency multiplies. This is my initial take on first seeing this. Now let's see what Dan thinks. Will we agree or disagree? "(And you've accepted the suggestion that your arm is "completely relaxed""
The word "relax" is used so unspecifically and generically in various martial arts that focus on the soft side, that it has essentially become meaningless. It means whatever students and teachers think it means. Not a very good training methodology standard if you ask me. It's akin to saying multiply A by a decimal. What decimal? It doesn't matter, just pick a decimal. Then they conclude with saying the right answer is 5.69. Then people start wondering if they could just pick a decimal and get any answer, why would it be the right answer? It's not, that's why. It's just random. The answer is random. The starting variables are random too. But don't worry, you just need to "relax", and the "Technique" will "come to you eventually". After like 15 years, yeah. There's a reason why I don't often believe such claims of students automatically achieving proficiency after "X" amount of years spent under the ancient masters. No such thing as automatic in The Art. When you are telling a person to relax, you must specify the exact muscle group, the exact muscle chain, and the exact muscle region. Anything less is just garbage. If the student cannot control that muscle, then make him control it by using pin point pressure on that part until his nerves figure it out. Also having them put their hands on your muscle groupings to detect how you activate them, where you do it, and in what sequence, is also invaluable. Btw, Dan, I've heard you are a beginner in MA. For a beginner, you sure do know a lot of.... stuff. Are you really a beginner? Superior training methodology was originally the foundation of styles. Now a days, it can be said that people don't learn traditional styles because they have forgotten the historical bedrock of their ancient predecessors. They have all the vices of tradition (inflexibility and inability to adapt) with none of its benefits (lack of ancient wisdom and knowledge). They have prioritized the form, etiquette and reigi, over the tamashi, essence/substance of metaphysical reality and power. This is so far off the Way that it would be a comedy if it didn't get so many people killed because of it. Am I a beginner? After 31 (soon 32) years of training, calling myself a "beginner" would invoke a very strange interpretation of that word, would it not? But do I care whether someone thinks I am a beginner? Certainly not. 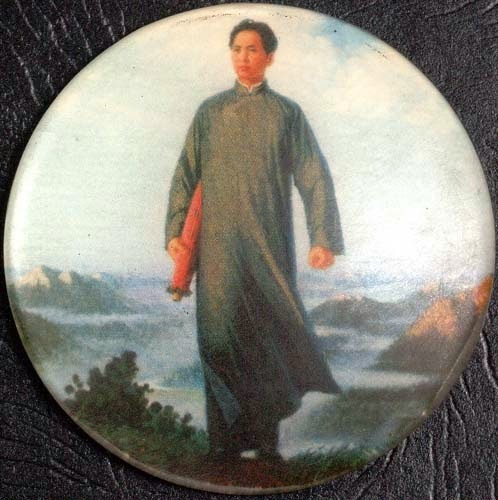 From my Daoist perspective, it is arguably preferable since I don't claim the 'alternative', which people assume is 'master'. And is it best to approach learning with the mindset of a beginner (rather than someone who 'knows it all'? Of course. Hence my answer to that young man at the wedding. To me, the refrain: 'Oh I am just a beginner - even after 3 decades,' would smack more than a little of false modesty: a kind of self-aggrandisment through proclaiming my own humility. So no, I'm not a beginner. Clearly. If I were, I would also have to qualify as the slowest of slow learners. I only agreed with the fellow because there was no reason to try to 'ejumacate' him on inane things like 'martial arts training doesn't make you lethal, nor give you a' kill face'. I believe I understand the reason why you said that. I'm just giving you an opening line if you wanted to continue that joke. It's meant to give a humorous context for a semi-serious subject. In Japan, this might be called the straight man (tsukommi) and the baka (person who makes a seemingly logical, yet fantastical statement). The tsukomer acts as a foil, to interrupt or point out the fantastical elements of the first comment. And where that leads from there, is all up to creativity. The Daoist perspective would namely be that to obtain the truest thing in existence, one cannot name it for naming it confines it within human perception, mortality, and flaws. As I learn more about the human condition, names like "teacher", "sensei", "beginner", "expert", "master", all begin to lose their meaning and import. First it was all derived from the human condition, mortality as I saw it. Then I saw people as simply a facet of greater existence. That which lives, can change reality, that which does not live in reality, cannot. Now it is more like "they are what they are". What he said ended up being true. Even 2000 years later, people, like me, remember the absolute disaster that was called "Athenian democracy". To the point where even the US Founding Fathers discarded Athens' idea of democracy and adopted Roman Republican values instead. If the Athenian Assembly wished for the weight and criticism of the entirety of time and space on this planet Earth, they achieved it, and the only person of note that would be remembered by the majority of future humans would be the one condemned by the majority's ignorance and vice. Western logic does a very good job of getting to specifics and explanations. Eastern philosophy did a much better job at reducing things to irreducible levels of complexity. The weakness of the West is that once you lose the physical component to enlightenment, you lose enlightenment entirely. Whereas the weakness of Eastern methods is that it becomes harder and harder to explain and teach people the truth of the universe as you get closer to it. I understood you were being humorous Ymar, however it also suddenly occurred to me that people might have misread that previous post as false modesty, so I took the opportunity to clarify that here while it was fresh in my mind. I think if you were saying that to a friend or student, as an authority figure, that might be easily misconstrued. But saying so to an enemy or someone neutral but potentially hostile puts it into a different context. 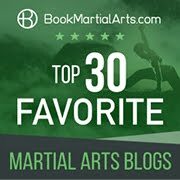 In Wing chun, I've seen a movement in their second form, as explained by Jin Young, that was basically a way to shield one side of your body to buy enough time for you to realign your structure and face the opponent once more. This involved doing a palm thrust down at the side of your hips. This creates an arm shield using extensor muscle groupings. Some of the details I can't remember clearly, but that is the general gist of it. 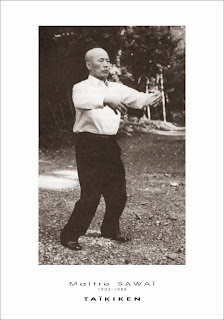 In kung fu, the alignment of the wrist and hands were very important. Especially when hard blocking and transitioning from defense/traps/attacks to other things. 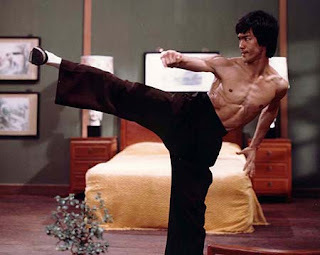 I think half the reason why kung fu had so many ways to hit people with the hands and wrist bone is because it allows them to align their hands however they wish. To free up the forearm muscles to do what is required at the fastest possible reaction speed. I hypothesize that a lot of the reasons people can't do rising blocks at all is because they can't even absorb the force because their forearm muscles aren't activated properly and in the right order. Nor are their hips and structure in alignment either. So they take the force, get off balanced, then can't do anything. An open straight palm that sweeps a hit somewhere else, as a deflection, should be sufficient. But if a person wants to hard block, they need to probably put their palm into a push up or extensor lock, which locks their forearm muscles on the outside of their forearm as well. Of course, that is meaningless unless they have a sink in their hips and legs. Many people know this trick when it comes to shin kicking, but... well, it seems people couldn't "transfer" that stuff over cause it wasn't original thinking. Just something someone told them. This guy talks a lot about the defenses to mental manipulation. Good stuff. That's the NLP hypnosis thread. I've seen people use it. I read the body language of the individuals on video. Weak minds, basically, can be controlled. If you cannot master yourself, there is no hope of mastering an art and turning it into a physical reality. Sun Tzu's advice from 2500 years ago still applies today, even though few people pay attention to it.